Production Time: 5-10 days after confirmation of transfer is received. Anda sudah bosan dengan cetakan bahan polyester dan memerlukan cetakan di kain cotton ini? Kami telah melakukan penyelidikan selama 1, 5 tahun untuk kami boleh mendapatkan hasil yang paling maksima untuk bahan kain cotton ini. Kain cotton yang kami gunakan adalah cotton woven 40s, ia biasa digunakan untuk kemeja : kemeja seragam, kemeja batik sehingga kemeja formal. Untuk mendapatkan hasil yang maksima, sebelum kami membuat proses cetak di kain, kami melakukan proses periksa terlebih dahulu supaya hasil cetakan kami boleh disatukan dengan baik di atas kain. Begitu pula selepas proses cetak, kami melakukan beberapa proses penghabisan supaya kami boleh menjaga kualiti warna supaya tetap cerah dan tidak mudah pudar apabila dicuci. Untuk memastikan hasil cetak kami boleh digunakan untuk kulit anda atau untuk anak anda, kami hanya menggunakan cetakan dengan persijilan OEKO-Tex class 100. 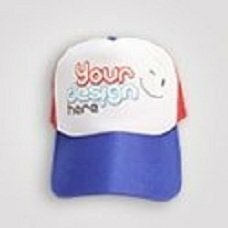 Prepare design you want to print. Make sure data is on final format. Input design data in Order Fabric Printing. Click Next. In the second order page, input complete data, fabric print size (length x weidth) and quantity. If you are dropshipper, input buyer complete data (in the email column, input your email, not the buyer email). Click Next. On the third page order, input the material type choice. Review your final order. Click Final. Then show up a page with No Order, Total Order, and Account Transfer. After do the payment do not forget to do the confirmation via Payment Confirmation page. After the production finish, your order will be directly delivered to the destination address or can be picked up at Custom.my office. Find your wanted design in www.shutterstock.com page. 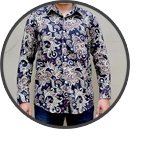 Use the search function to search the image you want, for instance: colorful pattern, flower pattern, etc. In the image page, save preview image which already has no image. If you want the image printed continually (seamless), determine the image size, 15x15cm for instance. So if you order fabric with 150 width, then the pattern will be created 10 times to the side. Input design data in Order Print Fabric. Just input the preview image which already has no image. Click Next. On the second order page, input complete data, print fabric size (length X width) and the quantity. If you are a dropshiper, input the complete buyer data(put your email in email column, not the buyer email). Click Next. On the third order page, input the material type choice. Review your final order. Click final. Then will show up a page with No Order, Total Order, and Account Transfer. After you finish the payment, do not forget to confirm it via Payment Confirmation page. After the production finish, the order will be directly delivered to the destination address or can be picked up at Custom.my office. The fabric width which will be used is 90 cm, 110 cm, and 150 cm. For the 90 cm and 110 cm width fabric, printing fabric area is full 90 cm and 110 cm. For the 150 cm, maximal printing area depends on the material, for the further information you can download the complete data here. Minimal order is 100 cm / 1 meter. There is no maximal order, but we suggest to follow the Printing Maximal Length per design. The printing maximal length on each material is different, for the further information you can download the complete data of each material here. For the over 100 cm order, the counting is based on the total material usage. For instance: Order fabric with 327 cm length meant the price is 3,27 m X price per meter. Prices can be checked above. 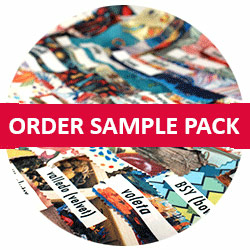 We highly recommend you to have the Sample Pack before you order. It is recommended so you will have big pictures about the material texture and the color printing you will order. Sample Pack can be ordered for only RM 13 (delivery fee exclude). To make sure the color printing result, we suggest you perform a proof print/printing test earlier. For the Printing Test, make a usual order, insert on the Note column: Printing Test and input the length size 30 cm. Duration of the production is 5-10 working days. The time counted after the transfer confirmation we receive. If the confirmation we get before 12 am, the order will be processed just at the time, after 12 am process will be counted start from the next day. Working days means Monday to Friday, exclude Saturday, national holiday or mass leave. For Eid Fitri and Year-End production, we always inform before the holiday dates. Printing machine that we use is one of the best in the industry, equipped with special software to detect the colors so the printing result will be maximal. We know the printing result and the one on the monitor have different colors. So we recommend you to have the our sample pack in Order Sample Pack. It is recommended so you will have big pictures about the material texture and the color printing you will order. Sample Pack can be ordered for only RM 13 (delivery cost exclude). 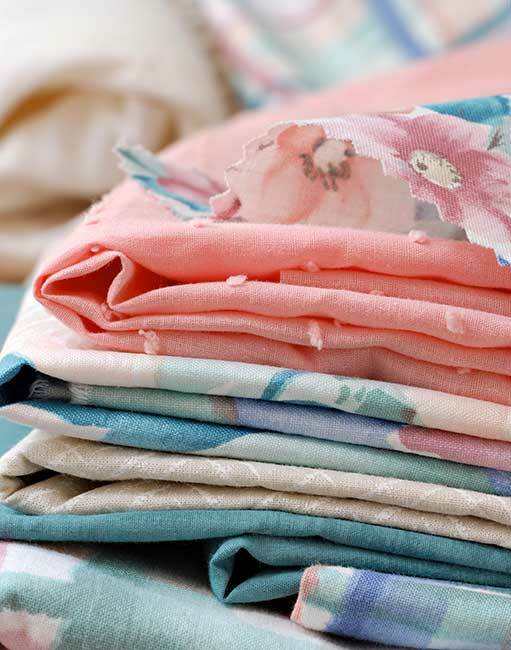 For fabric material, you can use your own fabric or form our stock. 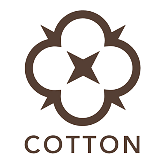 We provide many types of COTTON & POLYESTER, start from the doff color to the shiny ones, from the stiff to stretch material, from thin to thick. Make sure the fabric material use 100% polyester with white color or Broken White (BW). We do not accept printing on the colored material. Input the design data in Order Print Fabric. Click Next. In the second order page, input the buyer complete data(Input your email in the email column, not the buyer email). Click Next. In the third page order, select your own fabric. Click Next. Review your final order. Click Final. Then show up a page with No Order, Total Order, and Account Transfer data. After doing the payment do not forget to confirm on the Payment Confirmation page. When you send the material to us, attach the No Order on the material. Give an extra length about 20 cm/design for the material shrinking approximation and for production handler. After the production finish, the order will be directly delivered to the destination address or can be picked up in Custom.my office. To ensure the printing result, especially color, it had better perform a printing test. If something wrong happened when the printing run (stain/folded material), we replace with the reprinting, but the material still provided by the buyer. If you want to print with your own fabric, make sure the fabric is free from damage, stain, pulled up yarn, etc because we do not accept any fabric quality complaints. The item return limit is 2 days after the product received/picked up with item damage condition caused by the production. For the material brought by the client, make sure there is no jammed yarn. If the printing result is damaged by jammed yarn, it is considered as the client's fault. Different color between the one on the monitor and the printing result if there is no printing test performed. (Keep in mind that the color printing result and the color on the monitor tend to different). Fabric Shrinking. Keep in mind that each material which printed surely will get the shrinking. Cracked printing result caused by small data. Why are the color printing result and the one on the monitor different? The color on the monitor is the Primary Color: the color shown directly caused by the light on the back of the monitor. The printing result color is the Secondary Color, the color shown indirectly because the seen color is the color hit by the light reflection. 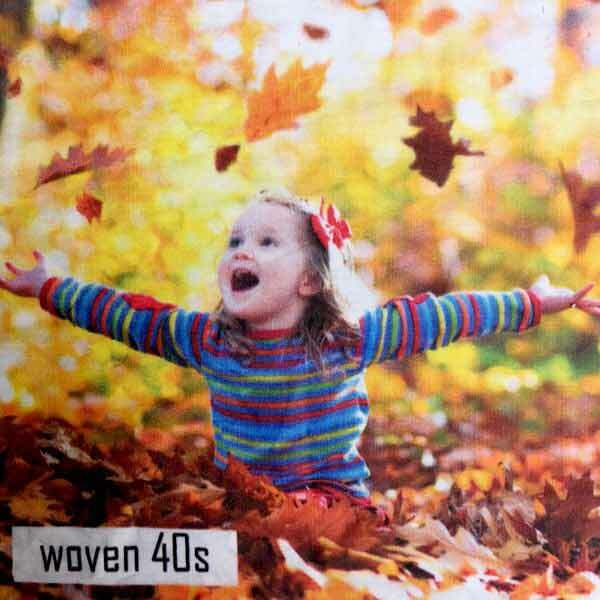 Every material has different fiber, spinning yarn types are different, even the finishing chemical material is also different. Those kinds of things cause the ink absorption in to the fabric different. There are still some other minor things like the color profile when designing, special color usage, etc. That is why we recommend you to use our Sample Pack as the color benchmark and run the test printing firstly before running the printing fully to ensure the production result color aligns to what you want. For data, we recommend it has already in TIFF/JPG/PNG format. It is highly recommended to use TIFF when saving the file select Image Compression: LZW. If the sent data will be edited, kindly inform to the admin / write on the note on the website, so we can help the design editing. Why Dropbox? Our system is directly integrated with Dropbox. We recommend Dropbox because it has no upload and download speed limit. Delivery is performed using Pos Laju. The weight of each material is different. Averagely 1 kg can load 2-4 meter. System automatically counts the delivery cost. Custom.my system designed to support dropship system. For dropshipping, register as a member because membership will function as the sender name and address when you are dropshipping. For delivery to buyer: On the order page, input the buyer data. On the delivery sheet what will be written are your name and your address as the seller and the buyer data as the receiver. Input your email in the email column, not the buyer email. The Custom.my name will not show up at all. 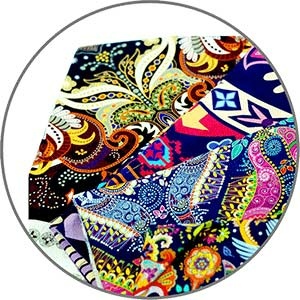 Cotton fabric for shirt or batik. Textures of materials: Front and rear rigid. Adakah anda tahu tentang sejarah cetak fabrik design tribal? Anda mungkin akan memakai baju dengan reka bentuk tribal yang kelihatan bergaya tetapi adakah anda tahu maksud di sebalik reka bentuk? Dalam artikel ini, anda akan mengetahui sejarah di sebalik populariti reka bentuk tribal ini dan mengapa orang menggunakan ia sebagai reka bentuk pada tshirt. Sudah tentu, populariti reka bentuk ini tidak terhad kepada pengeluar utama, banyak pengeluar baju lain juga menggunakan reka bentuk tribalini untuk dicetak pada fabrik mereka. Pada masa kini ia adalah sangat mudah untuk melihat orang memakai jenis pakaian ini. Jadi, dari manakah perkhidmatan cetak kain ini mendapat pesanan bagi baju dengan reka bentuk tribal ini? Reka bentuk ini kebanyakannya terkenal sebagai "reka bentuk tribal", tetapi mereka mempunyai nama lain, iaitu "print Afrika". Ya betul, kain dan pakaian reka bentuk tribal ini asalnya mendapat inspirasi dari benua Afrika. Tetapi benua Afrika adalah besar dan terdapat banyak suku kaum dan bangsa yang berbeza. Jadi, yang manakah digunakan sebagai inspirasi? Inspirasi ini sebenarnya datang dari suku kaum dan negara yang berbeza di seluruh Afrika, tetapi orang pertama yang menghasilkan cetak kain rekaan ini adalah Belanda. Belanda mengambil minat yang mendalam dalam percetakan Asia dan membawa pulang pengetahuan tersebut ke tanah air mereka apabila mereka kembali. Eropah juga berminat dalampercetakan Asia, dan mereka cuba untuk menghasilkan reka bentuk itu dalam jumlah yang banyak dengan menggunakan mesin. Malangnya, banyak ciptaan mereka muflis, sehingga pemaju Belgium berjaya mencetak resin di kain kapas menggunakan ciptaan mereka sendiri. Tetapi cetakan yang dibuat menggunakan mesin ini tidak begitu sempurna, kerana ada cacat cela seperti garis-garis atau titik kecil. Oleh itu, ia tidak begitu berjaya di Eropah. Kemudian mereka membawa masuk mesin dari luar negara apabila Afrika Barat memperkenalkan mesin ini. Oleh itu, dengan menggabungkan cetakan reka bentuk tradisional Asia dengan mesin membuat cetak fabrikan lilin,reka bentuk "tribal" diperkenalkan sebagai cetak kain peribadi mereka. Ini adalah permulaan bagi reka bentuk tribal yang terus berkembang sehingga kini. Sudah tentu, ia menjadi konflik sedikit mengenai siapa sebenarnya pengasas reka bentuk dan resolusi reka bentuk tribalyang menjadikan ia lebih moden.